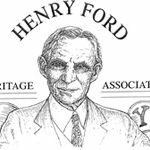 The Henry Ford Heritage Association is a 501(c)(3) organization dedicated to the preservation and interpretation of the history of Henry Ford. Henry Ford changed the world. The industrial colossus Ford created and the affordable cars he produced affected society in ways that most could never have imagined. The Ford Piquette Avenue Plant is honored to collaborate with the organization dedicated to celebrating Mr. Ford’s accomplishments. In March 2014, Piquette and the Model T Ford Club International (MTFCI) formed a partnership. Their similar histories and missions will ensure a successful affiliation between the two organizations. The MTFCI is the oldest and most active Model T club which supports over 127 Model T chapters and 4,000 members worldwide. There are foreign chapters in Argentina, Australia, Brazil, Bulgaria, Canada, Great Britain, Ireland, Scotland, Spain, Uruguay, Sweden, New Zealand, and the United States. The Ford Piquette Avenue Plant is honored to partner with MTFCI. The Ford Piquette Avenue Plant is located in the MotorCities National Heritage Area. Designated by the U.S. Congress in 1998 as an affiliate of the National Park Service, MotorCities encourages appreciation of how the automobile has changed Michigan, the nation, and the world. 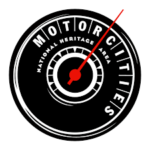 MotorCities also promotes the region’s auto-related tourist attractions, provides educational materials, and funds revitalization projects. The Ford Piquette Avenue Plant is a member of the National Association of Automobile Museums, (NAAM). This organization was founded in 1995 to enable auto museums to foster education and to share information, exhibits, and vital data about collections. The Ford Piquette Avenue Plant is grateful to our following partners for all of the support they have given us and the dedication they have extended in the preservation and interpretation of our auto heritage.